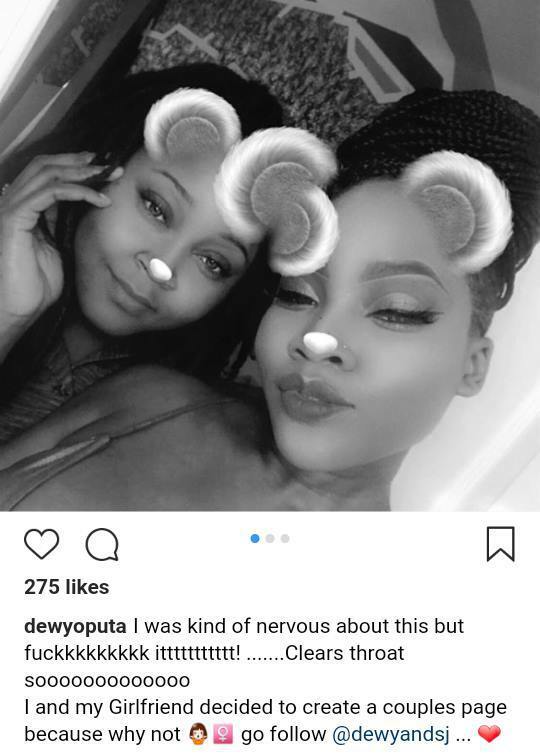 Charley Boy’s daughter, Dewy Oputa has shown off her girlfriend while revealing they have created a page together. Dewy, who is dating SJ, shared photos and a video showing them engaged in PDA. She revealed she was nervous at first about making her private business public but decided to come out with it.